Sorry. Been distracted by having company! The weather has been so utterly lovely as well. We have been too hot to work much although great progress has been made by Paul on completing removal of the old wood shed with his bare hands and repurposing (a ridiculous verb that amuses me very much at the moment!) the materials from it for a new huge compost bin, something we've needed for a very long time. 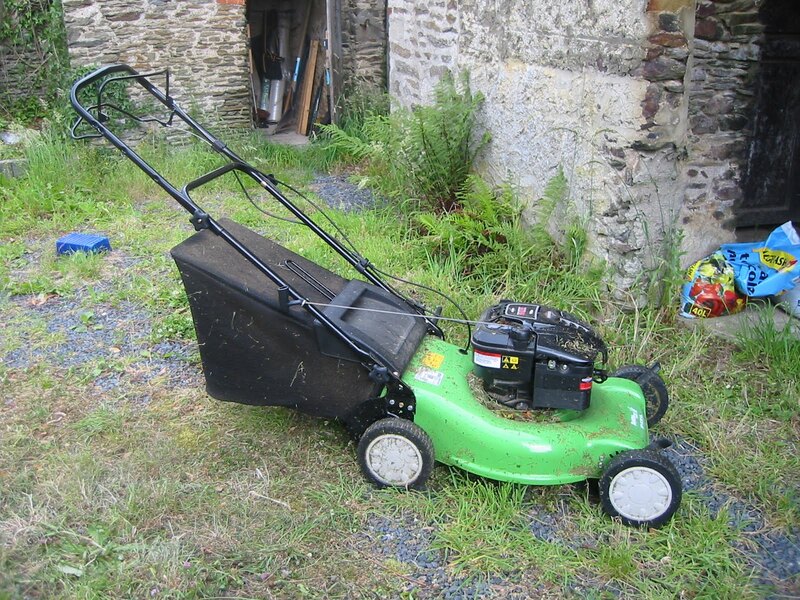 The old lawnmower has proved resistant to repair so we bought this shiny green machine for 260€. I was very pleased with it until I went to take the picture just now. One of the wheels was dismounted from the height adjusters, either by brambles or during a journey we'd made to mow at another house. It seems like nothing but this is a similar problem to the issues of the red machine. The engines on these mowers are very good but the manufacture of the chassis and supports is extremely poor and unlikely to stand up to the sort of punishment we give power tools. I hope it will behave itself from now on. We've found various fungi in the woods unexpectedly early and this has surprised us as it's been so hot and dry, not fungus weather you would have thought. 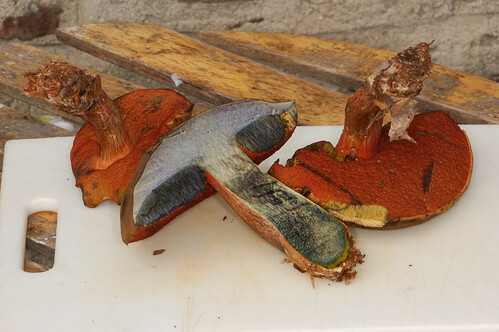 In the picture, taken by Paul, a lurid cep; Boletus luridus. Edible apparently, but might cause gastric upsets if not properly cooked. We decided to give it a miss this time but we did find a couple of entirely innocent and edible ceps the day before and enjoyed them very much for breakfast. There have been some interesting insects too. 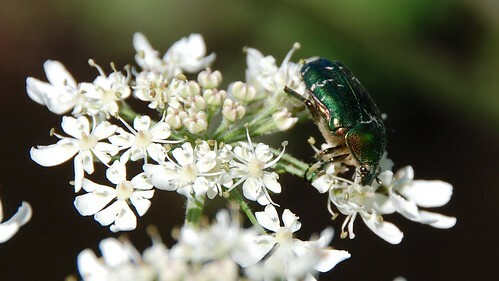 This is a rose chafer beetle, I find these to be the prettiest beetles and although my pictures are quite nice I'm disappointed they're not better. The garden is doing o.k. We have just started harvesting potatoes, there are lots of courgettes and Martock beans but the more exotic and interesting (from some points of view) plants aren't really shining. 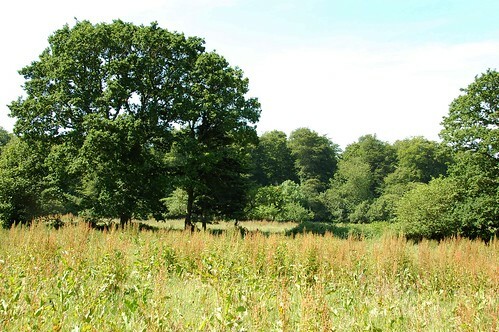 I'll do a more technical write up soon but I don't think I'm going to be blazing any trails in agricultural biodiversity this year.